Over the years, we've had the opportunity to see appeals from nearly every one of North Carolina's 100 counties. 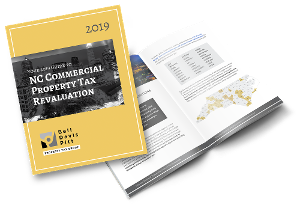 These counties take the time to develop FAQs about upcoming revaluations and appeal rights, and they often include an informational sheet attached to or on the back of appeal forms. They do an admirable job. The appellant bears the burden of proving that the value substantially exceeds the fair market value of the property and that the Tax Assessor used either an illegal or arbitrary method of assessing the property. There isn't a polite way to say this. That sentence is wrong and by including it, this county (and countless others who include similar guidance) is misleading taxpayers about who has the burden to do what in North Carolina property tax appeals. Perhaps worse, the county almost certainly does not itself understand the correct burden-shifting framework and is, therefore, handling property tax appeals incorrectly. In North Carolina, property tax assessments are presumed to be correct. That is where we start. The presumption, however, is rebuttable. To rebut the presumption, the taxpayer must present evidence tending to show that the assessment substantially exceeds fair market value. This is where counties get it wrong. They tell taxpayers that taxpayers have the burden of proving that the assessment substantially exceeds fair market value. In doing so, they confuse a burden of production with a burden of proof. A burden of production is a much lower requirement than a burden of proof. To meet the burden of production in North Carolina property tax appeals, all the taxpayer must do is present evidence which tends to show that the County's value is wrong. Critically, the evidence doesn't have to prove anything to anyone. By way of example, if a taxpayer presents the sale of a nearby and arguably comparable property at a value significantly lower than the assessment at issue, then it has carried its burden of production. That is true even though the County may not find that sale particularly persuasive for any number of reasons (there are issues with the sale, the County thinks it has better data, etc.). At this stage, the only question is whether the taxpayer presented evidence (it did), which tends to show that the County’s value was wrong (it did). So, what happens after the burden of production is met? Once that happens, then the County's presumption of correctness evaporates and is replaced with a burden of proof. The County must prove that its value was correct, despite any evidence the taxpayer presented to the contrary. It can do this in any number of ways. It might start with attacking the taxpayer’s evidence. In our example, it might explain that the sale was not actually comparable or that it was a distress sale. It might present additional evidence, like its own comparable sales, which show that its value was correct. The key, however, is that the County must do something. Once the taxpayer has met the burden of production, the County cannot simply rest on its initial assessment. To be clear, this is not a trivial issue. Many counties are telling taxpayers that their case starts with the taxpayer having a burden of proof when, in reality, taxpayers in North Carolina property tax appeals never have the burden of proof. Instead, if the burden of proof ever arises, it is the county who must carry it. Admittedly, this burden-shifting framework can be cumbersome and complicated. However, it is the law in North Carolina, and it is a problem when taxing jurisdictions get it wrong.